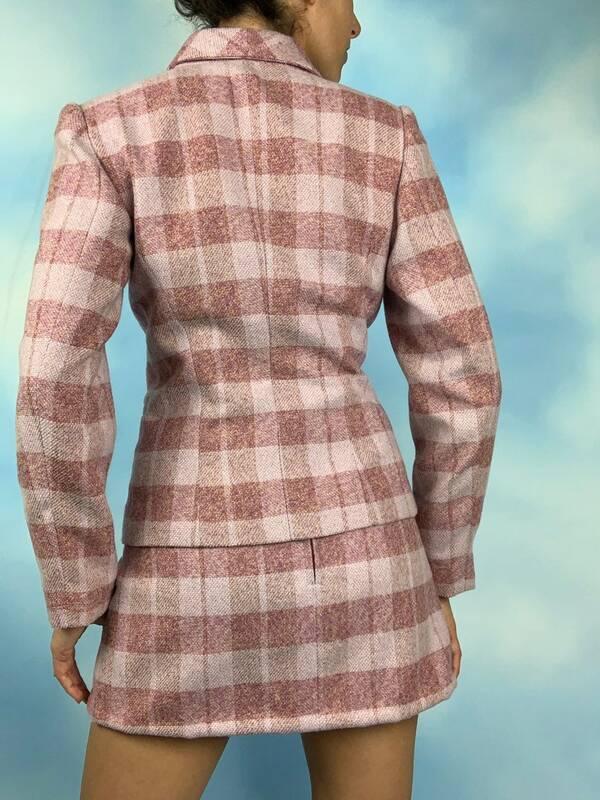 60s pink and buttercream yellow plaid 2-piece jacket and high-waisted mini skirt set. No make or content tag, but guessing its made out of a wool or a wool blend. Jacket has a front button closure and 2 front pockets. Both pieces are fully lined in grey satin. In excellent condition with no flaws to note!